Most plans for tackling climate change involve some form of trapping carbon dioxide and locking it away. A new method draws inspiration from scuba-diving equipment. 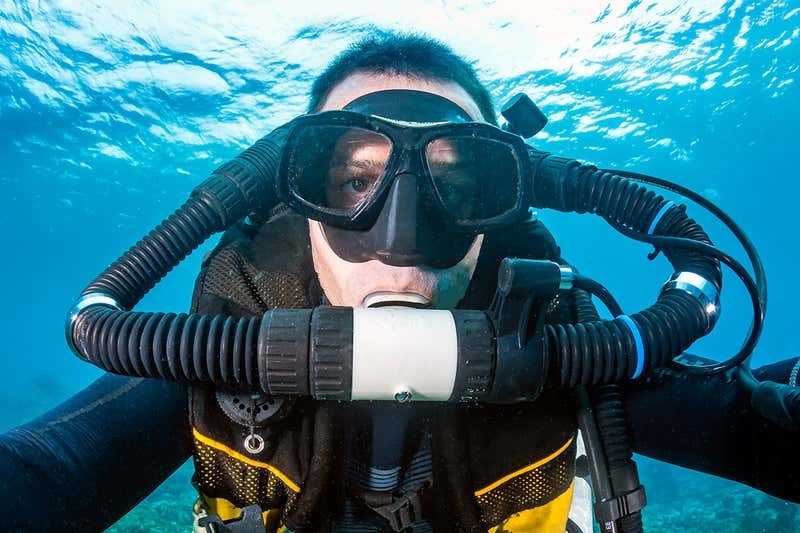 Rebreathers allow scuba divers to stay underwater for hours. They use a substance called soda lime to filter the exhaled air, converting CO2 into solid calcium carbonate, so that the air can then be recycled. Instead of soda lime, the new approach uses a type of naturally occurring compound called guanidine, which similarly, reacts with CO2 to form a solid. Heating the compound releases the CO2 so that it can be stored. This process occurs at lower temperatures than it does for soda lime, reducing the amount of energy required. Dissolving it in water afterwards allows it to be recycled for reuse. It is a simpler way to reduce CO2 emissions released by coal-burning power plants, says Radu Custelcean at Oak Ridge National Laboratory. The process is 24 per cent more energy efficient than current methods. In small-scale tests, Custelcean’s method removed 99 per cent of the CO2 from exhaust gases. Once the process is optimised, his team will try scaling it to capture up to a tonne of CO2 per day. Current CO2 absorbers remain in liquid form after they have captured the gas, meaning that releasing the CO2 requires a significant amount of energy. In the new method, CO2 is released from bicarbonate crystals, which also avoids evaporation and degradation of the absorber over time. Technologies that remove CO2 from the atmosphere are increasingly considered necessary for reducing greenhouse gas emissions to net zero. Globally, only a very small portion of the carbon dioxide from coal-burning plants is currently captured. The new method is a useful step forward in making CO2 separation more affordable, says Stuart Haszeldine at the University of Edinburgh, who was not involved in the study. What remains to be trialled is whether the compound can withstand a mix of contaminants other than CO2 in power plant emissions gases, “and how the integrity and performance of this molecule survives many hundreds of heating and cooling cycles,” he says. While their current focus is on removing CO2 from power station emissions, Custelcean says the method can also be used for direct air capture – in other words for sucking CO2 straight of the air. They are currently testing how well their approach will work for this. “If successful it would provide the most energy-efficient direct air capture method to date,” he says.